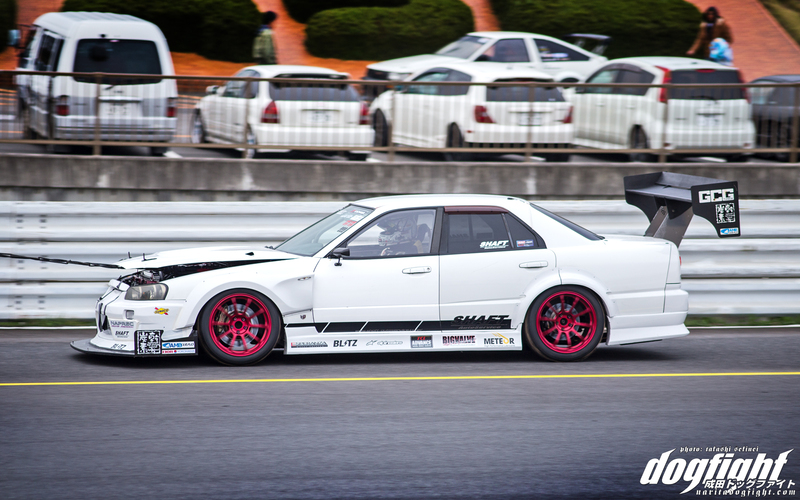 This isn’t really an ideal chassis for Time Attack; and Taro-san fully understands this. So they set out to create an attack build that was, well, comfortable. Knowing that the car was going to be (obviously) quite heavy already, they left the amenities that some people miss in their registered race cars. Things like radio’s, air conditioning, dashboards, etc. all remain keeping the driver comfortable on the weekdays off track. 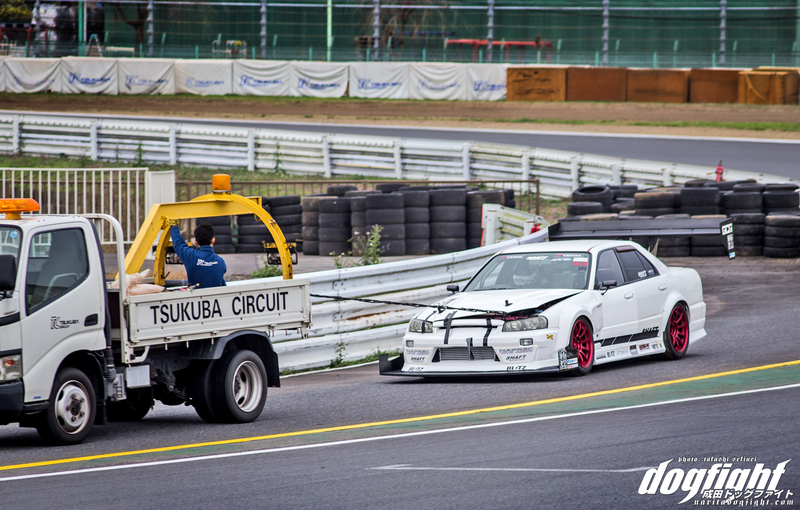 Clearly, things like the giant GT wing (Suzuki’s old S15 wing), and front splitter would be removed for inspection. The sedan weighs in at a hefty 1300 kilograms. Thankfully, the RB26 has been tuned to an adequate 750ps to help move that body around the circuit. 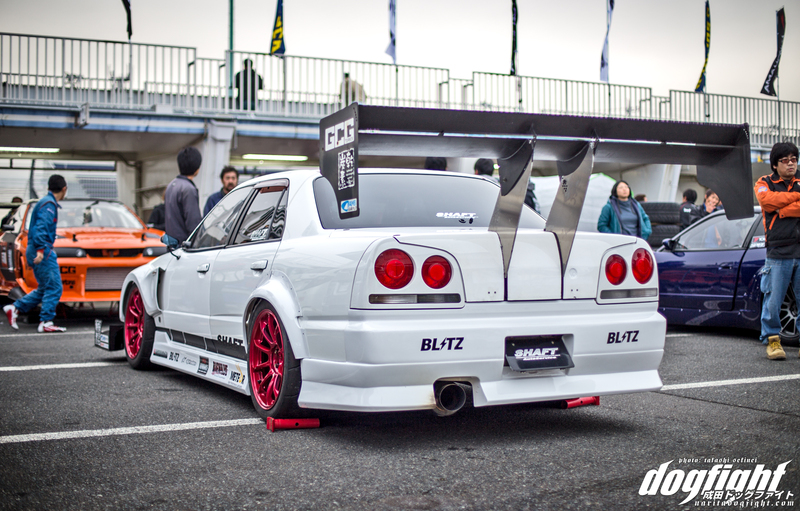 Advan A050’s in 295/35/18 sit at all four corners of the Skyline; creating a massive amount of grip for the chassis. 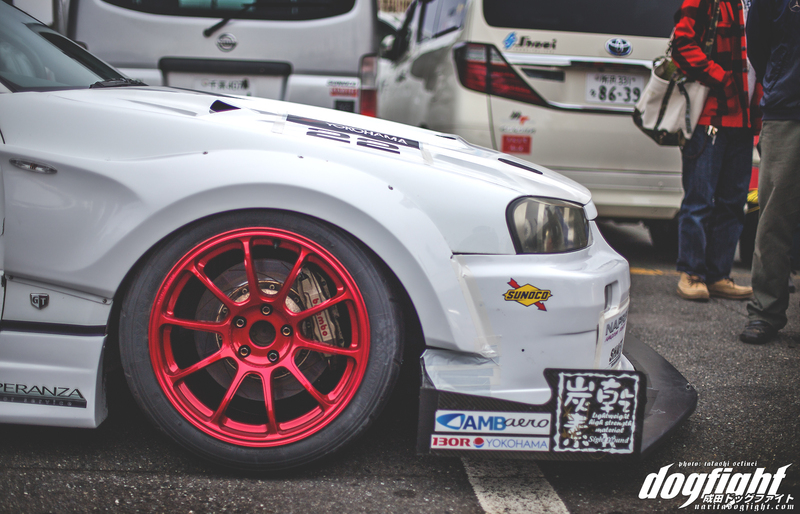 The forged Volk ZE40’s in candy red stand out like a beacon against the white paint of the car. Modified overs allow the massive wheels some breathing room. 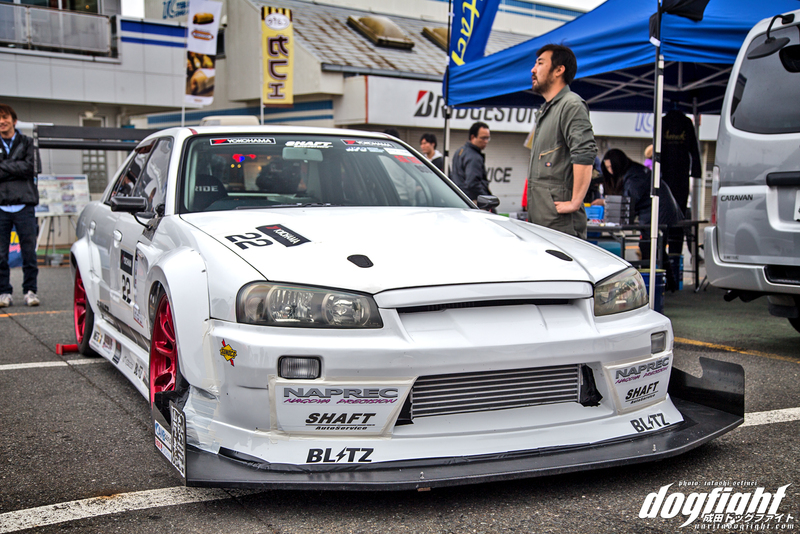 The car sports the entire Shaft Auto aero kit, including front bumper, side, and rear. A custom vented hood improves air flow through the bay and helps keep temps down. I’ve always had a special place for ER34’s, and this build only solidifies that feeling. During the cars initial shakedown, Suzuki was able to pilot the sedan to a best time of 59.3 around TC2000; which, given the cars specs is very quick. The teams goal was to break the minute barrier, so right away their goal was realized. At this past Monday’s Attack event, they tried to best it, however engine trouble early on ended their day before afternoon. Under was able to snag a 59.7 before the engine gave out which only assured the team what the car was capable of. 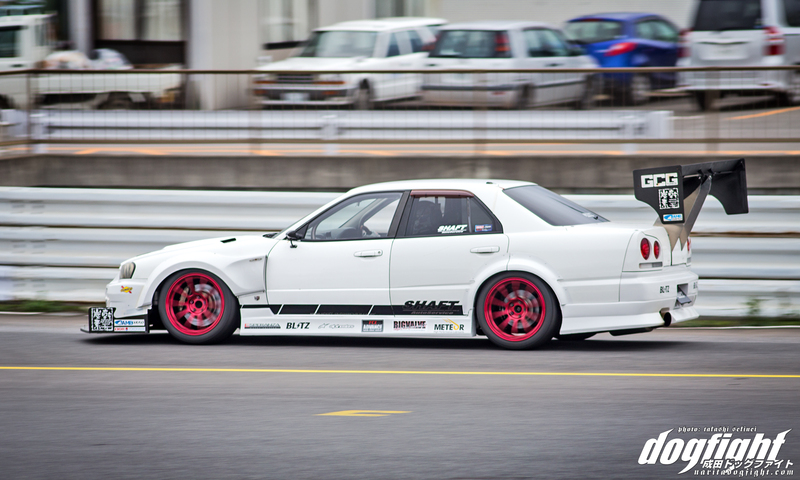 I hope to see this car contend in the upcoming season of Attack in Japan. It’s not only good to look at, but I’d love to see if they can pull any more time from it. 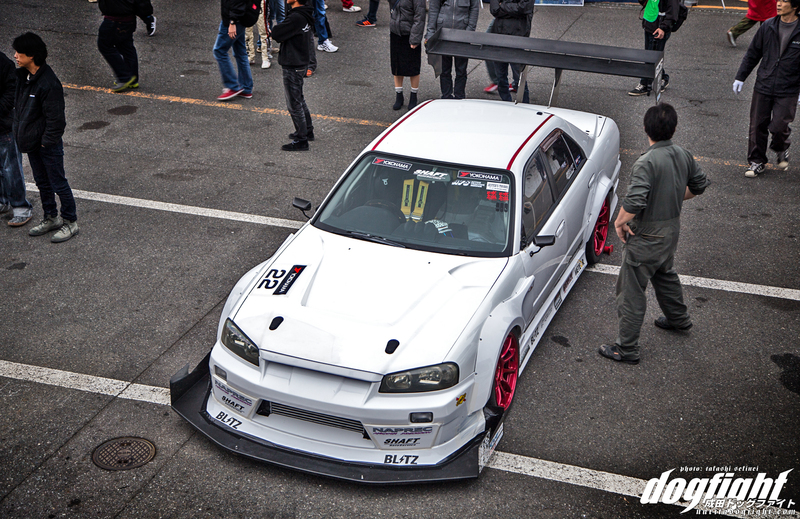 Correct me if im wrong but im 99% shore this is running an Rb25 not Rb26 ?